On this episode of The Writer and the Critic your hosts, Kirstyn McDermott and Ian Mond, announce the list of nominated books for the upcoming Patron's Choice episode in September. If you're a Patron with voting rights, get thee to the Patreon website to access the poll and choose which book you'd like them to discuss. 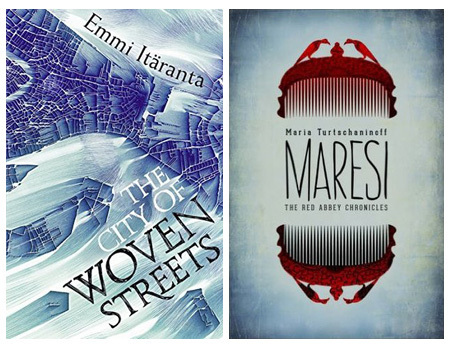 The two books on the slab this month are two Finnish novels, City of Woven Streets by Emmi Itäranta [13:40] and Maresi by Maria Turtschaninoff [43:35]. There is some relatively spoiler-free discussion about the similarities between the two beginning at [7:30].